It's little bit late to publish but i will play a French theatre on friday of next week 16 to 19. 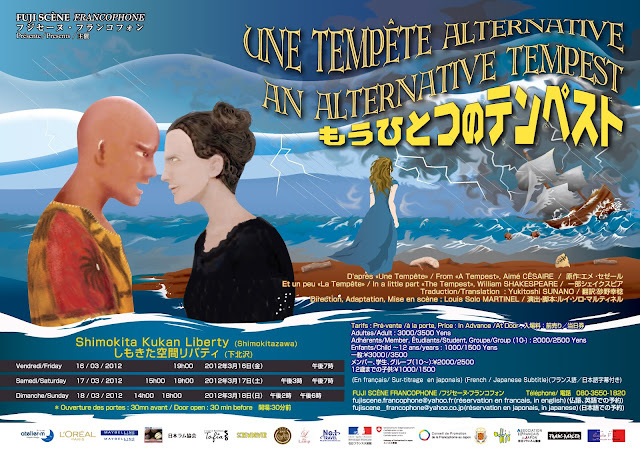 The title of the theatre is "An Alternative Tempest". 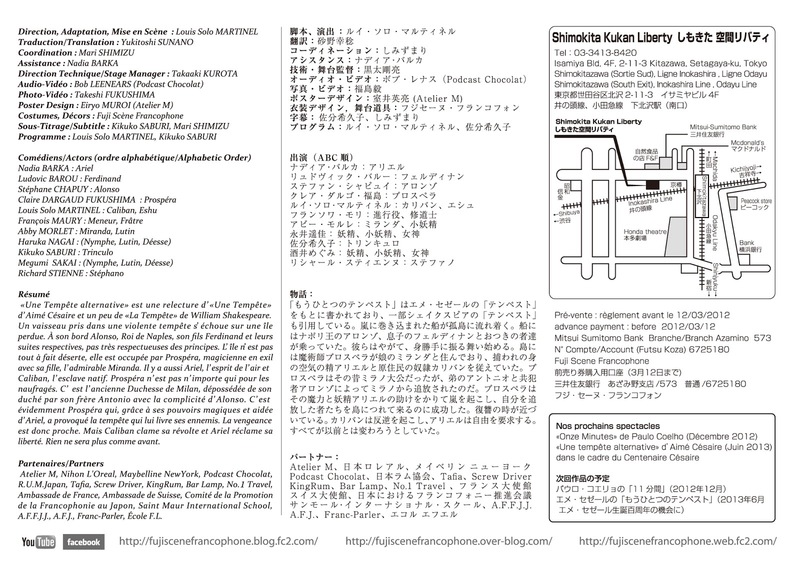 It will also Japanese subtitles on the screen. 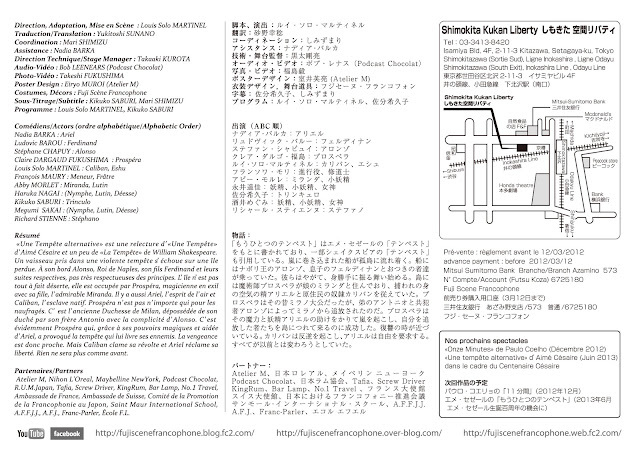 So if you are interested, please come to see the show. The location is the Shimokitazawa. For more information, please check it out the flyer. I'll play the role of the goddess, nymph, fairy and imp! "The Tempest" hits theaters on December 10th, 2010.